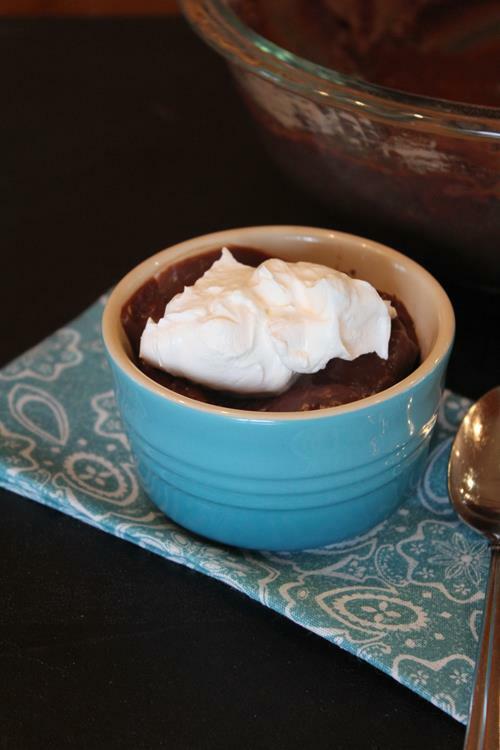 Microwave Chocolate Pudding is a quick and easy homemade dessert that is delicious! 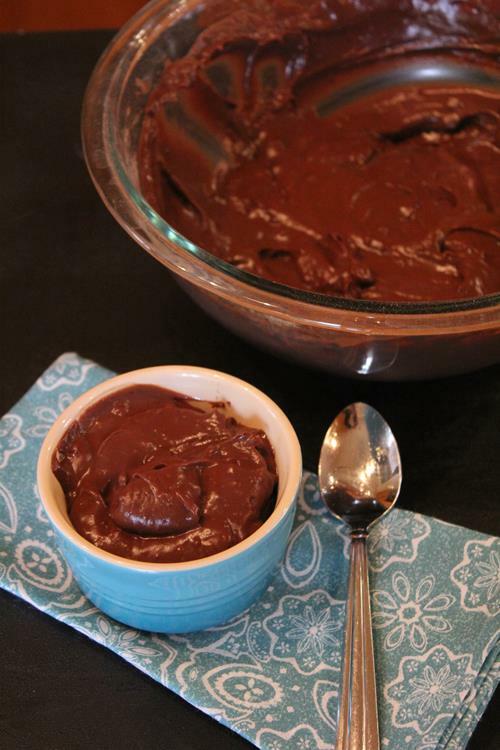 The first time I heard about microwave chocolate pudding was from my sister. She told me how good it was, but I was not really sold on the idea. You see I love homemade pudding and just could not see how it could be made in the microwave. I filed the idea in the back of my mind, but never gave it a try. Then my mom started talking about how wonderful microwave pudding was and how easy it was to make for a quick dessert. That was when I knew I had to give it a try. A recipe that both my sister and mom loves must be worth trying. I got the recipe from them and gave it a try. And I agree. Microwave pudding is delicious! Not only is it delicious it is so easy to make when I need a quick dessert. 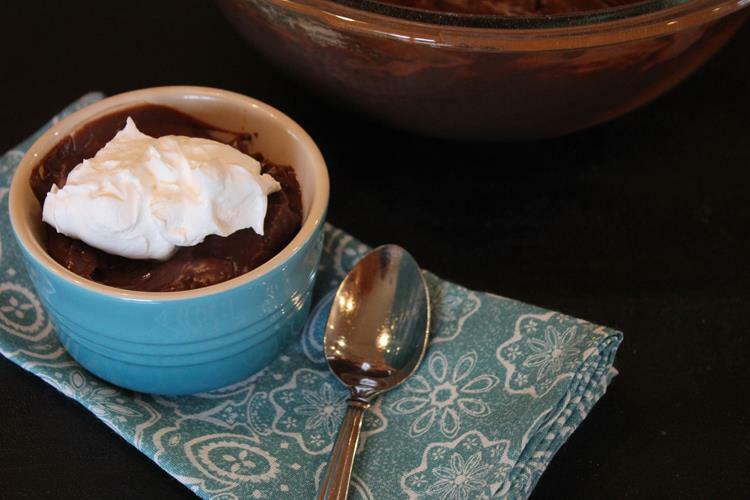 If you need a quick and easy dessert that uses basic ingredients you need to try this! So good! 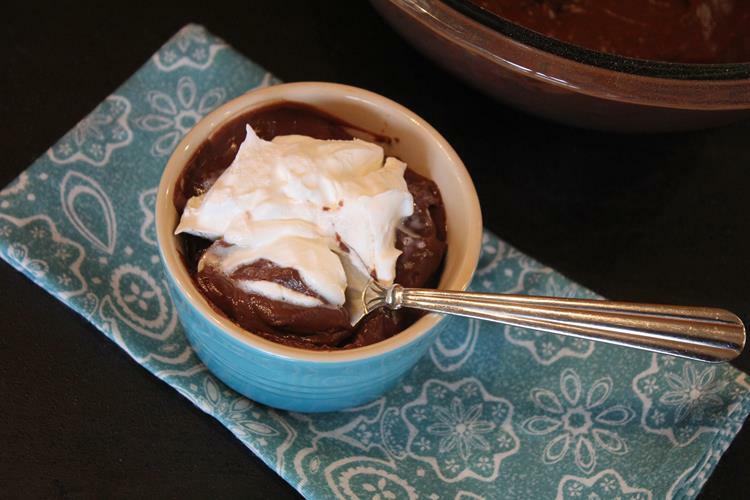 Combine sugar, baking cocoa, cornstarch, and salt in a 1 qt or 2 qt microwave safe bowl. Microwave on high, uncovered, for 2 minutes. Stir and microwave for 3-4 more minutes. The time may vary with different microwave. Stir in vanilla and chocolate chips. Stir until chocolate chips are melted and pudding is smooth. Serve immediately or cool to serve. To avoid the skin that forms on pudding as it cools, use plastic wrap to cover the pudding and press it directly on to the putting so that it touches the pudding. My husband is allergic to cornstarch. What could I sub? Looks great! I would try arrowroot or another thickener like that. Another reader mentioned that arrowroot worked well. This is SO good! We had to make a few substitutions (coconut sugar for the sugar, arrowroot for the cornstarch, homemade hemp milk for the milk) and it worked perfectly! It’s been a long time since I’ve had such a fabulously rich dessert that came together in just minutes. Thank you! I am glad that you enjoyed it. Thanks for sharing what you did. We have made it with coconut milk and really enjoyed it that way too. Thanks for the recipe. How many servings does this make? We made this just as written. It was so good! It is going in our make often file! This is a must-try recipe! Do you use semi-sweet or milk chocolate chips? I use whatever I have. I have even used dark chocolate chips and they work too. I hope that helps! I made the pudding today with milk chocolate chips & it was delicious! Next time, I’ll try semi-sweet & sometime I’ll try dark chocolate chips too. Thank you! If I were to divide the recipe into fourths and make in paper cups, would itwork? I think you could make a smaller batch, but I don’t think I would cook it in paper cups if that is what you mean. You could easily divide it into fourths after cooking and put it in paper cups for serving later. That would work fine. If that is not what you meant let me know.